The last salmon fisherman on the River Severn is embroiled in a legal battle with the Environment Agency – after catching just a single fish too many. Nigel Mott, 71, has been catching salmon in traditional basket traps since the 1970s and once netted up to 600 fish a year worth £100 each. But his livelihood was thrown into doubt in 2012 when the Environment Agency ruled that no individual fisherman could land more than 30 in a season. 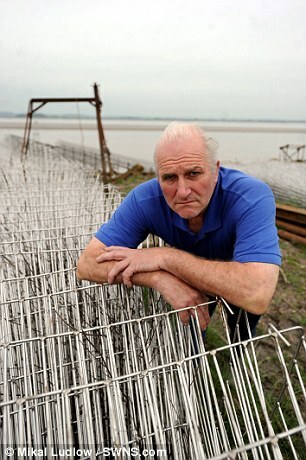 Defiant Nigel continued to use his putcher rank – an array of 650 basket-like traps – and hit the quota in just 26 days. 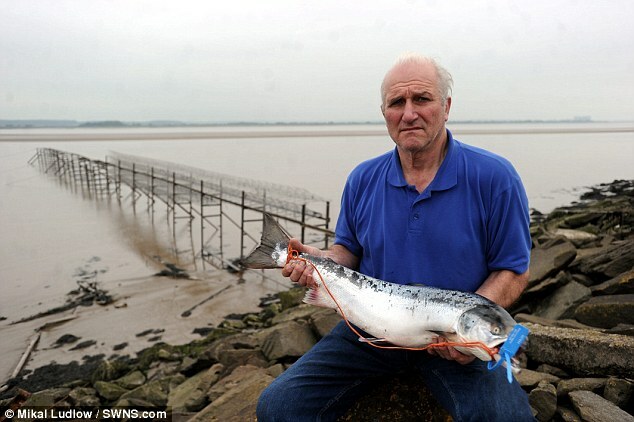 As a protest he presented his 31st fish to the local Environment Agency office – and was duly prosecuted. He won his case but the agency has now announced plans to appeal the decision. Nigel said: ‘When I caught the 30th fish, I rang them up and told them I was going to fish in excess of the 30 – I even brought them my 31st fish. The Environment Agency introduced the new quotas amid fears that the salmon population in the Severn was dangerously low. After catching his 31st fish Nigel was prosecuted for breaching his licence and the case was heard at the High Court in London in February. 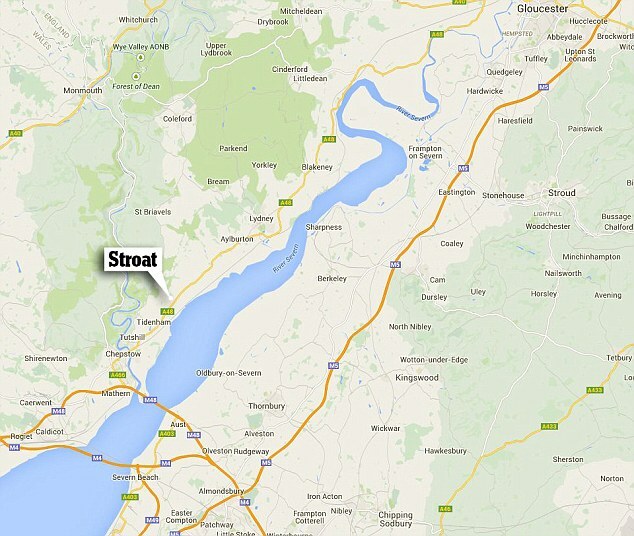 Nigel, of Stroat, Gloucestershire, argued that the unreasonably low quota threatened his livelihood and would put him out of business. He claims his form of fishing has minimal impact on salmon in the Severn, as his putchers stretch out just a couple of hundred metres from the riverbank. That leaves a mile of open water for the fish to swim past his cages, he argued, allowing plenty of space. Despite winning the case his legal battle still shows no signs of ending as the Environment Agency has vowed to take it to the Court of Appeal. A spokesman said: ‘Although the judge has at this stage ruled in Mr Mott’s favour, we will be seeking leave to appeal to the Court of Appeal. ‘All of these sites are designated to protect salmon, and these populations are currently under threat.